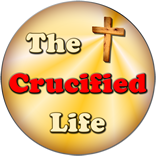 HomeThe Crucified Life Ministries BlogModified or Sanctified? God offers mankind a NEW life in Jesus Christ. This new life is available as a gift through the finished work of His Son Jesus Christ. You can do nothing to earn or purchase a new spiritual life for yourself or others. It is a personal journey fueled by faith and trust placed in God. A new spiritual life is crisp and clean. It sparkles and shines for God and bring Him honor and glory. 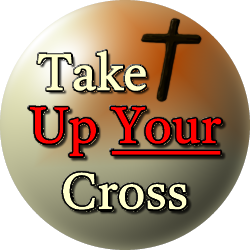 This new life is a mainstay or backbone in the life of a genuine professing Christian. While it is true positionally speaking, man is made right with God through faith, that is not the end of the equation, it is the beginning of a new spiritual life. Once a man is made positionally right with God he will desire in his heart to live according to the will of God upon his life. The will of God always coincides with His Word and always brings God honor and glory. Therefore, if anyone proclaims to know Jesus Christ personally, but does not desire to live in the direction which aligns with God’s precepts and teachings, perhaps his or her life has been MODIFIED by man’s works rather than SANCTIFIED by God. The man or woman of God is set aside from this world for bringing God honor and glory. A new life in Christ always heads in a direction that serves and honors God through both spirit and deed. A life modified or altered by man’s means is not spiritually solid but rather is spiritually shallow, weak and wobbly blown about by the contrary winds of life.